New European Union Directive requirements have been introduced for 2.4GHz ISM Data Transmission Equipment, which will be in effect starting January 1, 2015. This article presents an overview of the regulatory compliance requirements, and provides a detailed analysis on the differences between the current standard ETSI EN 300 328 V1.7.1 (2006) and the new standard ETSI EN 300 328 V1.8.1 (2012). Also included is an introduction to the new required test methods, as well as some of the unique test setups. To regulate the consumer marketplace and protect the residents in the European Union (EU), regulations, directives, decisions, recommendations and opinions are developed and negotiated among the member states. These legislative requirements cover various product aspects, including safety, health, and environmental protection, as well as protecting the public infrastructure, such as the telecommunications systems and frequency spectrum. In May 1985, the EU “New Approach to Technical Harmonization and Standards” was defined, which represented an innovative way to achieve technical harmonization. It clearly introduced the separation of responsibilities between the European Commission (EC) legislators and the European standards bodies in the legal framework, including the European Committee for Standardization (CEN), the European Committee for Electrotechnical Standardization (CENELEC) and the European Telecommunications Standards Institute (ETSI). Basically the EC directives define the essential requirements, and the EU standards bodies have the responsibility to develop the corresponding technical specifications needed to meet the essential requirements of the directives, which are called standards. These approved standards are published in the EC Official Journal (OJ), and become the EU harmonized standards. Compliance with these standards provides a presumption of conformity with the applicable requirements of the harmonized legislation. Thus manufacturers, conformity assessment bodies, and other participating economic operators can use these harmonized standards to demonstrate that products, services, and processes comply with the relevant EU legislation. The three standards bodies CEN, CENELEC and ETSI are responsible for the preparation of Harmonized Standards under the EC’s Radio and Telecommunications Terminal Equipment (R&TTE) Directive (1999/5/EC), which was published in the EC OJ on 7 April 1999. The Directive covers all radio and telecom equipment intended to be connected to public telecommunications and radio networks in the EU. These two standards cover a wide range of products, including WLAN, Bluetooth, ZigBee, 2.4 GHz remote control, and Fixed PTP products. Both of the ETSI standards provide a presumption of conformity (or compliance) with Article 3.2 of the R&TTE Directive. However the current versions of these standards will cease to provide a presumption of conformity on 31 December 2014, so the EU Declarations of Conformity (DOC) for the R&TTE Directive based on the standard EN 300 328, V1.7.1 would need to be re-evaluated before the end of 2014 against the new V1.8.1 standard. In this paper, we will focus on the standard EN 300 328 V1.8.1, which has significant changes compared to the current V1.7.1 version, in both of the technical requirements and the test methods to be used to evaluate compliance. As mentioned, there are a lot of updates in the V1.8.1 version of ETSI EN 300 328. The reasons given for this standard update are to improve the usage and quality of data transmission equipment operating in the 2.4 GHz ISM band, and to make the standard more generic, in order to cover all different possible product types. ETSI EN 300 328 V1.7.1 was added to the Official Journal as a harmonized standard in December 2009. This version added a spectrum sharing requirement, stating that a medium access protocol must be implemented, targeted for equipment designs based on an international standard protocol, such as IEEE (Institute of Electrical and Electronics Engineers) 802.11, IEEE 802.11n, or IEEE 802.15.4. There wasn’t a clear test methodology defined for the spectrum sharing in V1.7.1, which has resulted in a lot of misunderstanding and confusion. 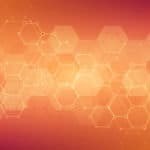 Test labs aren’t always sure how to evaluate for these compliance requirements, and usually will have to rely on a declaration from the manufacturer to state that the equipment is equipped with a mechanism to utilize the spectrum sharing. But some manufacturers don’t want to provide this type of declaration, because they assume the test lab should evaluate and provide the conclusions concerning compliance. This causes difficulties when equipment is to be tested per this standard, and a good solution isn’t known. For Wi-Fi, Bluetooth, and ZigBee devices, which were designed with specific spectrum sharing mechanisms implemented per the IEEE protocol, compliance can be achieved based on the declaration. But for those cases where the equipment is not designed to a standard IEEE protocol, how can the spectrum sharing capability be evaluated? This situation will be addressed with the adoption of the new V1.8.1 standard version. The Medium Access Protocol will be replaced by adaptivity testing requirements, and the new version has detailed technical requirements on the interference detection threshold and timing. 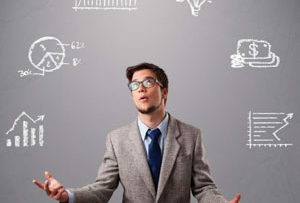 It will also provide step-by-step testing procedures, making the new requirements to be more efficiently followed. Additional changes were made on other requires tests, with the purpose of making the standard more generic, in order to cover the different equipment types operating in the 2.4 GHz frequency band. The technical requirements are separated into two major wide band equipment types. The first is FHSS (Frequency Hopping Spread Spectrum) equipment, and the second is Wide Band Modulation equipment other than FHSS. RF Output Power: New test instrument requirements, and new test procedures are added, plus consideration for MIMO (Multiple Input, Multiple Output), but the limits remains the same. Unwanted Transmitter Emissions: Adds the requirements for Out Of Band (OOB) domain emissions, and defines a frequency range that extends two bandwidths away from the operating frequency. The corresponding test procedure is also defined. For spurious emission domains, the measurement detector is changed, and requires using high resolution points during while sweeping, in order to obtain accurate test data. Finally, the pre-scan and final measurements are defined separately. Power Spectral Density: This has been normalized to the power measurement results obtained, and the new test procedure requires extensive calculation, but the limits remain unchanged. Frequency Range: The test procedure has changed to use a 99 percent bandwidth measurement, to be performed only at nominal conditions. Adaptivity and Receiver Blocking: Adaptive and non-adaptive devices operating at more than 10 dBm e.i.r.p, (equivalent isotropically radiated power) are now subject to new timing restrictions. In addition, adaptive equipment will need to be able to detect interference, and cease transmission when interference is detected. Together with the changes to the technical requirements, the test procedures are also re-defined to provide more appropriate methods to evaluate product compliance. The test procedures are also becoming more generic, so they can be used for different types of equipment. The conditions for testing are changed from V1.7.1, where the extreme environmental conditions and extreme power source criteria had to follow the requirements as described in clause 5.3, but in V1.8.1, they are declared by the manufacturer, based on the actual operating condition for the equipment. For the operation conditions of the UUT per V1.8.1, it needs to be configured for the normal operation mode, which means the UUT may have an inconsistent duty cycle, and different transmission characteristics, depending on the equipment type and specific operating mode. In the current V1.7.1 version, the UUT should be configured as a continuous transmission test mode (100% duty cycle). The problem is, this kind of mode requires using special tools or software from the manufacturer, which sometimes is difficult to obtain; and the actual real-life RF performance of the equipment may not match what it’s expected to be during the normal operation mode used during compliance testing. There is also the potential for “fudging” the results by using the special test mode prepared by manufacturer intentionally with the sole purpose of enabling the UUT to pass testing. The new rule in V1.8.1 effectively addresses this issue, and requires all measurements to be performed in the normal operation mode, thus making the measurements consistent and more accurate. For RF output power measurement, a fast power sensor suitable for 2.4 GHz and capable of 1 MS/s (Mega Samples per second) must be used. The measured sample must represent the power of the signal. The measurement duration is defined for both non-adaptive and adaptive equipment, in order to improve accuracy. While either the radiated or conducted measurement method can be used, they all need to follow similar data acquisition steps to obtain the results. For conducted measurement on devices with one transmit chain, sample the transmit signal, and store the raw data. For conducted measurements on devices with multiple transmit chains, measurements needs to be made at all transmit ports simultaneously, and the power of the individual samples of all ports needs to be stored and summed. For radiated measurements, the UUT must be configured and antenna(s) positioned for maximum e.i.r.p. 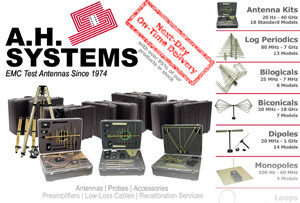 levels towards the measuring antenna, including smart antenna systems and systems capable of beam forming. The fast power sensor is also required for the measurement; a spectrum analyzer should not be used. 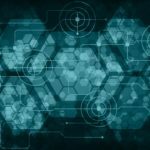 The use of fast power sensors and simultaneous measurements for MIMO chains eliminates the possibility of using an alternative method for the power measurement. The special and unique power sensors which can comply with the requirement per V1.8.1 are becoming very hot commodities in the test equipment market. We will now talk about the method for the major test items. The testing of RF Output Power will be based on the use of fast power sensors, and may require 4 power sensors to work simultaneously for 4×4 MIMO devices. A suggested test setup is shown in Figure 1. The Power Spectral Density (PSD) can be measured using a high resolution spectrum analyzer. The detector to be used has been defined specifically as an RMS detector, instead of an average detector referenced in version V1.7.1. The sweep points in the measurement frequency range are defined to make sure the necessary accuracy is achieved. If the spectrum analyzer used does not support enough sweep points, the frequency band can be segmented. Per the procedure defined in V1.8.1, the PSD measurement is not simply sweeping on the spectrum analyzer and marking the highest amplitude. A sweep is made with a Resolution Bandwidth (RBW) of 10 KHz and a Video Bandwidth (VBW) of 30 KHz, utilizing a RMS detector, while capturing more than 8350 sweep points. Next, all the values in the sweep need are summed and normalized to RF Output Power e.i.r.p. units to obtain the normalization factor, which will incorporate all the individual values to produce the normalized amplitude. This measurement is made starting from the first sample in the file (lowest frequency), then adding up the power of the following samples in 1 MHz segments, and recording the results for power and position (i.e. sample #1 to #100), then repeating measurements by shifting the start point of the samples by 1, then repeating the procedure for all individual values until the all values have been covered. The highest resulting 1 MHz segment sample that results will be the maximum PSD value. This is a new item added in the V1.8.1 version. The purpose is to limit the unwanted transmitter emissions in the Out Of Band (OOB) domain on frequencies immediately outside the required bandwidth, which results from the modulation process, but excludes spurious emissions. This measurement is performed by using the Time Domain Power Measurement function on a spectrum analyzer. The measurement detector is set for RMS, and at least 5000 sweep points are required. The measurement frequency range depends on the UUT’s Operating Bandwidth (OBW), from (2400 MHz – 2BW) to (2483.5 MHz + 2BW). 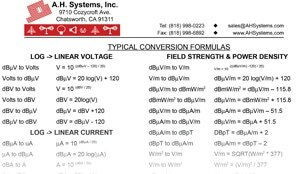 With a Resolution Bandwidth (RBW) of 1 MHz and SPAN set to 0 Hz, the Time Domain Power measurement needs to be repeated at each center frequency that is 1MHz from the edge of each defined ISM (Industrial, Scientific and Medical) band frequency range. Similar to the RF output power measurement, the declared antenna assembly gain “G” in dBi must be added to the results for each of the 1 MHz segments. For equipment with multiple transmit chains, the measurements need to be repeated for each of the active transmit chains. The highest value in each 1 MHz segment is the highest transmitter spurious emissions in the OOB domain. One of the most important changes in the V1.8.1 is the addition of an Adaptivity and Receiver Blocking testing requirement, which tests how equipment adapts to its environment by identifying other transmissions present in the band, then “adapting” by excluding them its selected frequencies and channels of operation. The adaptivity is part of the requirement for spectrum sharing. It used to be called “Medium Access Protocol Mechanism” and mainly relied on the manufacturer’s declaration. WLAN or ZigBee products are designed per standards such as IEEE 802.11 or IEEE Std. 802.15.4, and will have a LBT spectrum sharing mechanism based on the Clear Channel Assessment (CCA) mode that detects RF energy, so they can comply with the spectrum sharing requirement. However, there are detailed technical requirements and test procedures defined in V1.8.1 for the purpose of evaluating devices that do not have this type of standardized spectrum sharing mechanism implemented. The concept of adaptivity is also complicated by the depth of detail necessary in the standard so it will be generic enough to cover different adaptive equipment types that may be introduced. During the testing, a Wide Band noise signal is injected into the UUT’s antenna port, such as an interference signal centered on the hopping frequency or the operating frequency being tested. The interference signal must be a band limited noise signal that has a flat PSD. Usually this kind of signal is to be generated by the Adaptive White Gaussian Noise (AWGN) generation function on a vector signal generator. Step1: Connect the UUT and companion devices, then connect the interference signal generator, the blocking signal generator, and the spectrum analyzer. The spectrum analyzer is used to monitor the transmissions of the UUT in response to the interfering and the blocking signals. Step2: Configure the UUT for normal transmissions with a sufficient load that allows the demonstration of compliance of the adaptive mechanism on the hopping frequencies tested. Then verify the UUT’s Channel Occupancy Time and minimum Idle Period. Step3: Add in the interference signal. Step4: Verify the spectrum sharing mechanism’s reaction to the interference signal. Step5: Add in the blocking signal, and verify the UUT’s reaction. Step6: Remove both the interference and blocking signals, then verify the UUT’s reaction. Note that the UUT is allowed to transmit control signals after the detection of interference signal, as long as the duty cycle of control signal does not exceed the limit given in the standard. 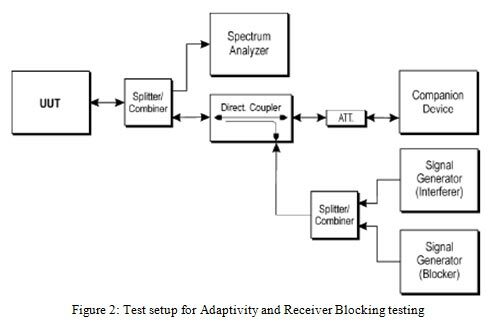 A typical test setup for adaptivity and receiver blocking testing is shown in Figure 2. Fast power sensors suitable for 2.4GHz, and capable of 1 MS/s for RF Output Power measurements, and it needs to support simultaneous measurements on MIMO devices. Also note that an Adaptive White Gaussian Noise (AWGN) generator to support noise bandwidths above 160 MHz will be required if the testing is to be performed on an 802.11ac device with 160 MHz bandwidth. 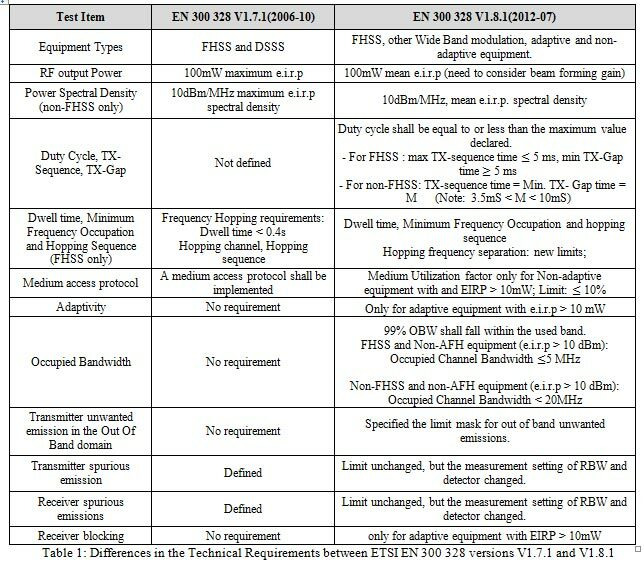 Table 1 compares the changes for twelve key test criteria between the current ETSI EN 300 328 V1.7.1 and the soon to be implemented ETSI EN 300 328 V1.8.1. While manufacturers and testing labs are currently transitioning to the EN 300 328 V1.8.1 standard, ETSI has already published the draft version of EN 300 328 V1.8.2. This version is currently in the European Norm standards approval process, with a resolution meeting scheduled in September, 2014, to be followed by an additional national vote on the modified version, if there are comments. The final version that passes the national vote will be published as EN 300 328 V1.9.1, which is expected to happen sometime in 2015. For FHSS, there are proposed changes on some definitions, such as dwell time, as well as some technical requirements and corresponding test methods. For non-FHSS and LBT based adaptive system, such as IEEE 802.15.4 and IEEE 802.11, the requirements and test methods for adaptivity testing will be clarified. Formulas for calculating ‘Extended CCA time’ and ‘Channel Occupancy Time’ have been removed and replaced by fixed values, or a range of fixed values. Changes to the spurious emission tests for the detector type instrument setting, including a clarification that the radiated testing needs to be performed on the UUT, even if RF conducted testing is performed. How much ESD can an IC bear?